Dubai: The Mar Thoma Church kicked off a year-long celebration on Friday marking 50 years of its existence in Dubai. 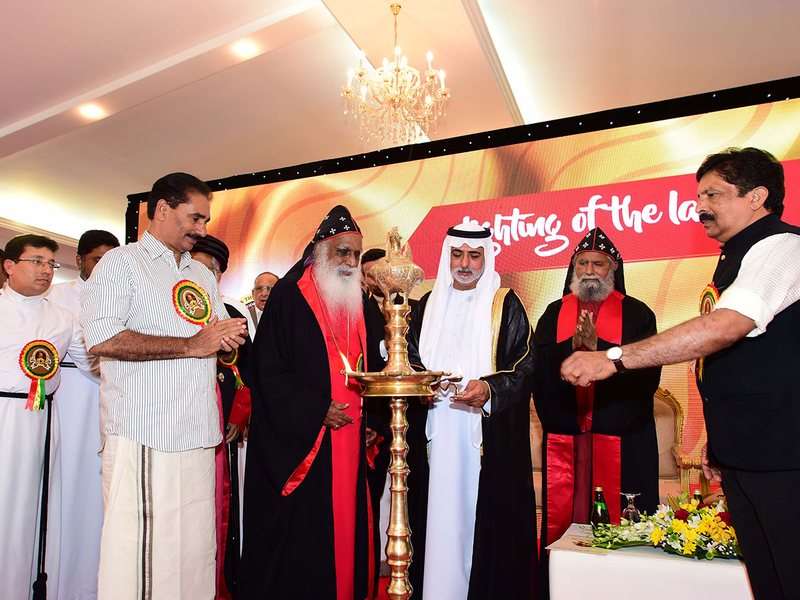 The golden anniversary ceremony was attended by Shaikh Nahayan Mabarak Al Nahyan, UAE Minister of Tolerance, along with several other prominent guests including Rev Dr Joseph Mar Thoma Metropolitan, Mar Aprem Mooken, Metropolitan of the Chaledan Church and NK Premachandran India’s Member of Parliament from Kerala. The Mar Thoma Church in Dubai, one of the largest congregations of the Mar Thoma Church worldwide, was founded in 1969 when members of the congregation first met as a small group at Our Own English School. They later moved to the Holy Trinity Church compound before moving to its own church premises in Jebel Ali in 2001. The parish has over 2,400 families as members now. 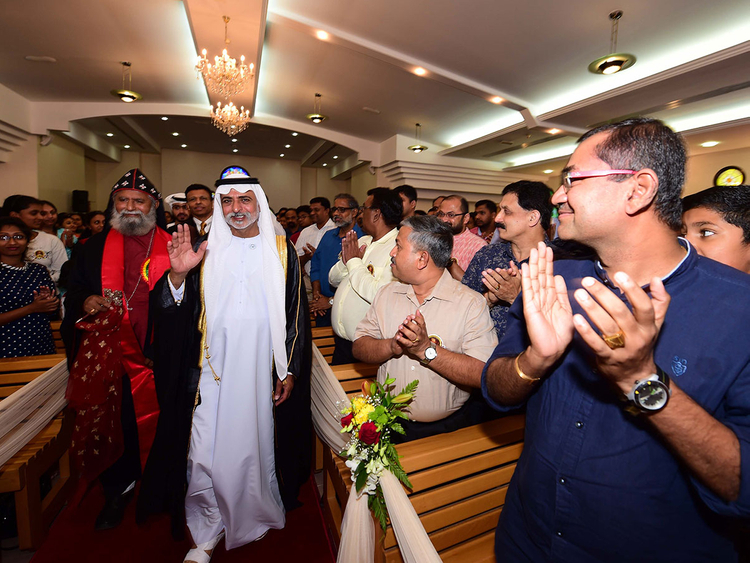 Speaking on the occasion Shaikh Nahayan said that the Mar Thoma Dubai congregation has made significant contributions in building the city of Dubai, in the spirit of its Patron Saint Thomas. “This congregation represents every sector of our society that has contributed significantly to the success of this country,” said Shaikh Nahayan during his golden jubilee address. He added that Shaikh Zayed respected people for their individual faith which is reflected in his donation of land to build places of worship. He said that the current UAE leadership continues to follow on the founding father’s footsteps in respecting and understanding different faiths and firmly believes in promoting tolerance. During the function, the parish also honoured Rev Dr Joseph Mar Thoma Metropolitan upon completion of 60 years of priesthood while Sunny Varkey, Chairman of the GEMS Group and M. John, Director at Bhatia Brothers Group, were honoured for their contribution to the church and society. The 50th anniversary celebration coincided with the International Day of Tolerance which is also celebrated on November 16. He added that the parish’s growth as one of the largest congregations of the Mar Thoma Church worldwide is underpinned by the generosity of the ruling family of Dubai. The event was also attended by Rt Rev Joseph Mar Barnabas Episcopa, Diocesan Bishop. The Malankara Mar Thoma Syrian Church or The Mar Thoma Church, as it is popularly known, is a Syrian Christian Church based in Thiruvalla, Kerala, India. It is an autonomous oriental church with Syrian high church traditions and eclectic characteristics from the reformation era. Mar Thoma Christians have spread with the 20th century Indian diaspora to North America, Europe, the Middle East, Malaysia, Singapore, South Africa, Australia and New Zealand. The church currently has around 950,000 members in Kerala and another one million throughout the diaspora.